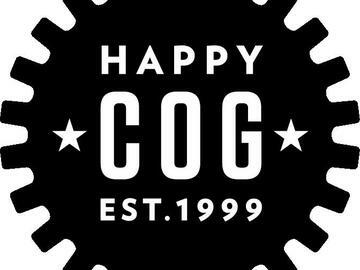 Hear from Happy Cog and TEDxPhiladelphia, as they explore how they’re working together to curate a digital conference experience. Together they are creating an intuitive new TEDxPhiladelphia.org, showcasing an ever expanding archive of speaker talks and opportunities for the local TEDx community to engage. TEDxPhiladelphia is a not-for-profit group, licensed by TED and created in the spirit of the TED conference and its mission, “ideas worth spreading.” Join us for an inside look at the intensive website redesign process at Interstate General Media’s headquarters, home of the Philadelphia Inquirer, Philadelphia Daily News, and Philly.com.